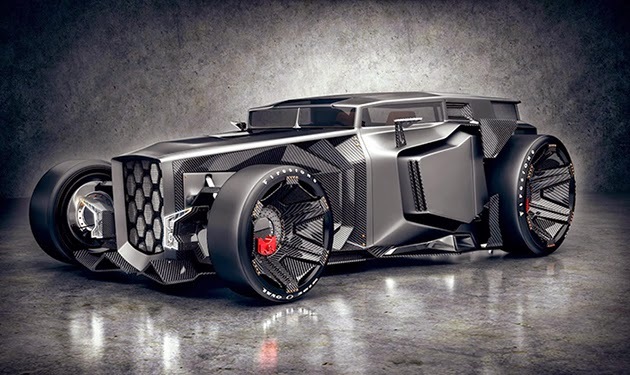 Looking like something Bruce Wayne would take to a local car show, this aggressive looking concept car was created by Pawel Wisniewski and his friend Jans Slapins. 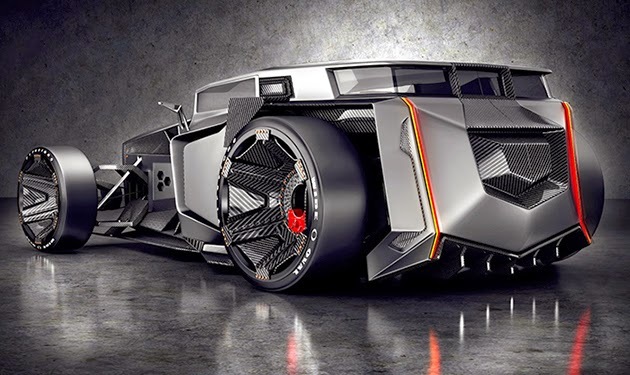 After the two watched a drag racing video (Lambo vs Rat Rod), the designers decided to create the first ever Lamborghini Rat Rod. To create the concept, Wisniewski used his sketching abilities, while Slapins mocked up the 3D models. 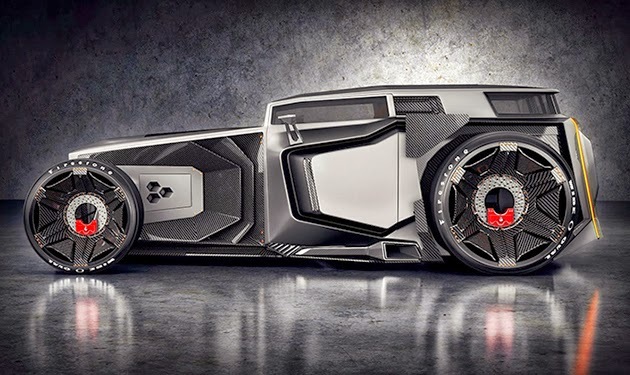 The vehicle looks just like the classic rat rod, but with some modern Lamborghini influence. 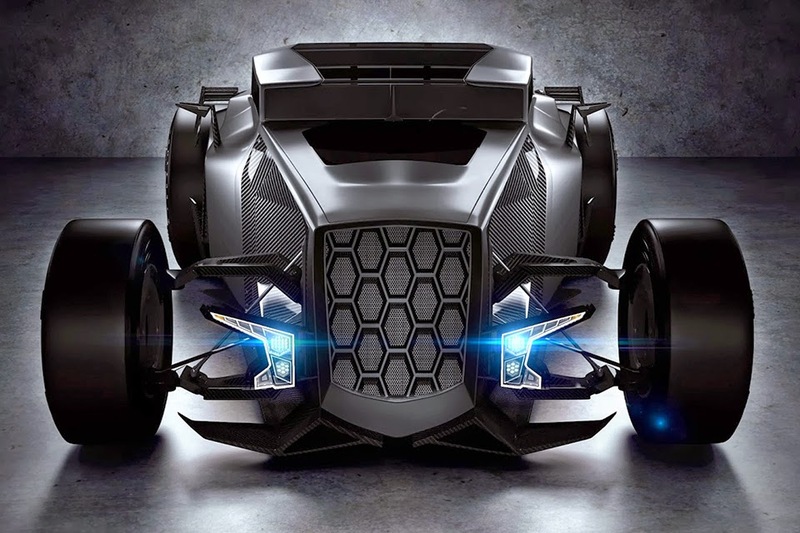 This 4-seater is constructed from a lightweight carbon fiber, and has been outfitted with a twin-turbo small block V8 engine that pumps out power through a sequential 6-speed transmission. The most interesting aspect to the concept build is the wheels, which have been equipped with built-in brake rotors. While this particular creation is nothing more than a concept, it’s still an awesome one nevertheless.